St John’s College is one of the 31 colleges of the University of Cambridge, a place where students not only live, eat and socialise, but also learn. St John’s was founded in 1511 and is one of the largest Colleges at the University with over 900 students, 150 resident academics and 250 staff. Former alumni include former Governor of the Bank of England Mervyn King, author Douglas Adams and actor Sir Derek Jacobi. The colleges at the University of Cambridge are self-governing, meaning that they have control over the building and their own internal procedures, and have autonomy to choose which companies they work with. 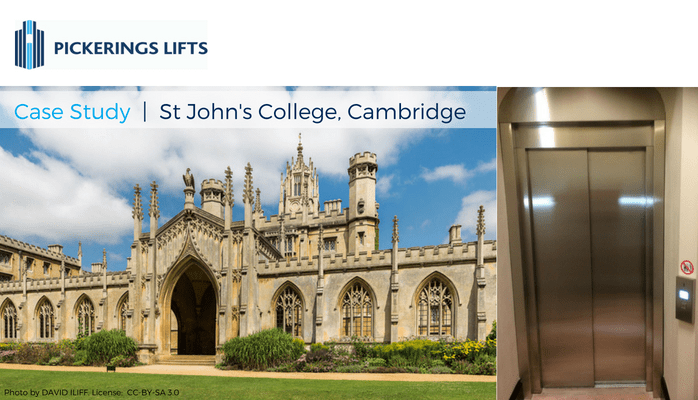 St John’s College has been working with Pickerings Lifts since 2015. 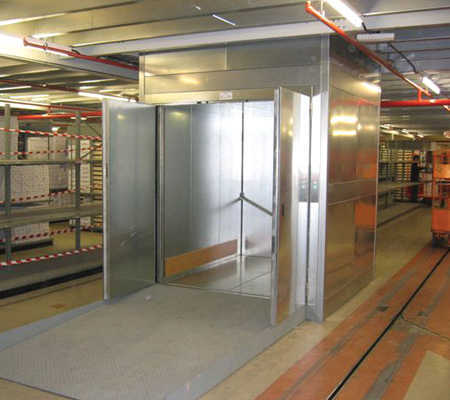 Pickerings Lifts provide lift maintenance and repair services to the seven lifts across the College campus, including one in the library, two in the School of Pythagoras (the College’s archive centre) as well as a lift in the kitchen. 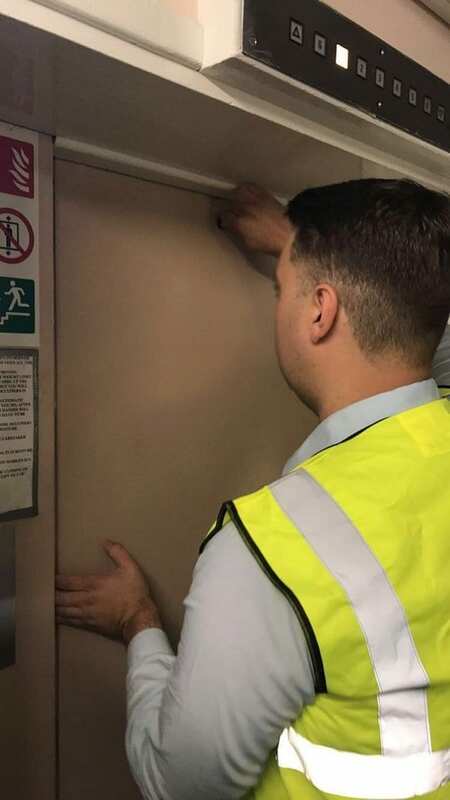 Pickerings Lifts engineers service each lift four times a year and are on call to provide 24 hours a day, 365 days a year emergency support. Engineers also installed a new lift and steel lift shaft in the 200 year old New Court building within the College grounds. 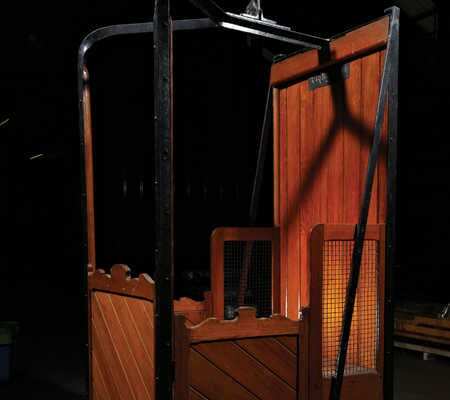 To keep with the look and feel of the gothic listed building’s arched doorways, bespoke architraves (interior mouldings) were installed above the lift.